Chatbots can be setup in just a few clicks using the company's new myEinstein tool. 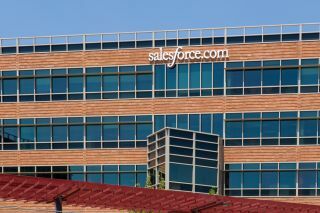 Salesforce has updated its Einstein artificial intelligence platform with predictive models and automated chatbots that have been designed with the company's end users in mind. During the Dreamforce 2017 conference in San Francisco, Salesforce announced the new features that will not require any programming and can be configured in just a few clicks. To make the setup process easier, the company has also created a new tool called myEinstein that will automate the building, training and deployment of AI models. These models will be based on structured and unstructured Salesforce user data and once the chatbots have been configured, they can be added to Salesforce workflows easily. Using Einstein Prediction Builder, organisations can build predictive models using any custom field or object from the company's software such as predicting whether or not a customer will move their business to another company. Businesses can also utilise Einstein Bots to create and deploy customised service chatbots using natural language processing that can deal with a range of routine customer issues to free up their customer support representatives. We will like see more businesses taking advantage of these new features and creating their own chatbots in Salesforce once they become generally available.